The April meeting of the Webster City Women’s Club will be held at the Jane Young House on Monday at 1:30 p.m.
Teri Boman will give the program entitled, “The Scoop on Essential Oils.”?In addition, the club members will hear speeches and presentations by some of the high school speech students. Refreshments will be provided by Donna Foster and her committee – Lora Jones and Ethel Brill. Members should be aware that the club’s spring dinner will be held May 9 at 6 p.m. at the Jane Young House. Reservations are $10 to be paid in advance to the treasurer, Connie Gilbert. For more information, call Esther Lehman, 832-5645 or Mary Ann Erickson, 832-4248. The Webster City Noon Kiwanis Club will be awarding two $500 scholarships to students graduating from Webster City High School who will be attending Iowa Central Community College this summer or fall. Applications are available in the Webster City High School guidance office. Completed applications must be returned to the Noon Kiwanis Club by April 29 and the recipients will be announced at the high school awards assembly. ALDEN?-The Alden Methodist Church will host a ham ball and salads meal on Sunday. Serving is scheduled from 11 a.m. to 1 p.m. Cost is $8 for adults and $4 for children under 12. Relax and destress at Kendall?Young Library with Coloring for Adults on Tuesday from 6:30 to 8 p.m. The event is free of charge and the library provides all of the materials. Tickets for Webster City Community Theatre’s “Cheaper by the Dozen” are on sale now at the WCCT box office. Performance dates are April 1, 2, 8 and 9 at 7 p.m. and April 3 and 10 at 2 p.m. All tickets are $12. The box office is open weeknights from 5 to 7 p.m., 10 to noon on Saturday and one hour before the show. Tickets may also be ordered online at www.wcctonline.org or by calling 832-4456. The Women of Asbury United Methodist Church are invited to the annual Lenten Breakfast at 9:15 a.m. Thursday in the church parlor. “The Empty Tomb” will be the devotional focus. A light breakfast will be served. BLAIRSBURG?- The Blairsburg Opera House dancers, listeners, and jammers are invited to attend the Blairsburg Opera House Jam Friday from 6 to 9 p.m. The coffee pot is always on, according to organizers. Those attending are encouraged to bring a snack to share. WILLIAMS?- The Williams Easter Egg Hunt will be held on Saturday at 10 a.m. in the Williams City Park. Children through the third grade are invited to participate. In case of inclement weather, the event will be held in the Williams Community Center. Donations of candy, treats and drinks are welcome. Contact Jessie Heimstra at (515) 681-7740. Humans Understanding Grief – HUGS – will meet Wednesday at 9 a.m. at the Second Street Emporium. The Town and Country Garden Club will meet Wednesday, 1 p.m, at UCC Congregational Church, 1000 Willson Ave. (west entrance). The program “Flower Show Basics” will be presented by Joan Nessa and Pat Nokes. The Hamilton Heritage Hunters Genealogical Society will meet at the Kendall Young Library on Saturday at 1:30 p.m. Anyone interested in researching his or her family history is welcome to attend. WILLIAMS?- The Williams Easter Egg Hunt will be held on Saturday2 at 10 a.m. in the Williams City Park. STRATFORD?- The Stratford Craft and Vendor Fair Spring Open House will be held Saturday from 9 a.m. to 2 p.m. at the Stratford School Gym, 1000 Shakespeare Avenue. A?whitetail deer antler shed talk and hike will be held March 26 at the Conservation office at Briggs Woods Park from 3 to 4:30 p.m. The talk will begin at the office, followed by a hike with county naturalist John Laird to search for whitetail deer antler sheds, tree rubbings, deer beds and deer tacks in Briggs Woods Park. Those attending are asked to dress appropriately for outdoor hiking and the weather conditions. The event is for all ages. WILLIAMS?- The Williams Easter Egg Hunt will be held on Sat., March 26 at 10 a.m. in the Williams City Park. In case of inclement weather, the event will be held in the Williams Community Center. Donations of candy, treats and drinks are welcome. Contact Jessie Heimstra at 515 681-7740 for more information. Learn new ways to stretch food dollars, create a meal plan, explore new recipes, discover easy ways to impact the food budget, and make smart food choices. This free class will be held at The Webster City Church of Christ on Saturday, March 19 at 1 p.m. This class is free but reservations are required and can be made by calling WCCOC at 515-832-2683 Monday to Friday 9a.m.-1 p.m. or texting 515-297-4565. The Hamilton County Pony Express Riders will hold a toll road to raise money for Camp Sunnyside on Saturday from 8 a.m. to 1 p.m. The riders will be stationed on East and West Second Street and South Superior Street. STRATFORD?- The Stratford Craft and Vendor Fair Spring Open House will be held March 26 from 9 a.m. to 2 p.m. at the Stratford School Gym, 1000 Shakespeare Avenue. The Webster City Recreation and Public Grounds Department will offer a Senior Citizen Bingo Party on Thursday in the Sampson Room at Fuller Hall. Bingo will begin at 1:30 p.m. and will end at 3 p.m. There will be refreshments served and winners will receive small prizes. There is no charge for this event. For further information, please call Fuller Hall at 832-9193. The Stonecroft Women’s Connection invite all area women to a Pottery Creations program on March 22 at the Jane Young House, 626 Elm St., Webster City beginning at 7 p.m.
Mo Seamonds, owner of The Produce Station in Webster City, will present the program on her love of creating pottery. Cost for the evening is $6. Reservations are necessary by calling Angie Pagel at 832-7061. Fuller Hall will have a youth activity program for kids in grades 3-6 each Tuesday and Thursday. The program will run through April 14. Peace Circle will meet March 15 at 7 p.m. with Karen McGrane and Jackie Butler, hostesses. Hope Circle will meet March 17 at 1:30 p.m. with Hostess Carolyn Miller. Love Circle will meet Monday, March 21 at 7 p.m. with hostess Pat Dinsdale. All circles will meet at the church. parents are asked to note several calendar events. Parent/Teacher conferences are scheduled at NEH today from 4 to 8 p.m. There will be an early dismissal at 2:40 p.m.
Also on the school calendar, there is no school on Friday and Spring Break runs from March 14-18. NEH classes resume on March 21. With the Easter holiday approaching, classes will be dismissed on March 24 with no school on March 25. Parent/Teacher conferences are scheduled at NEH on Thursday from 4 to 8 p.m.
Parent/Teacher conferences are scheduled at NEH on Tuesday and Thursday from 4 to 8 p.m. 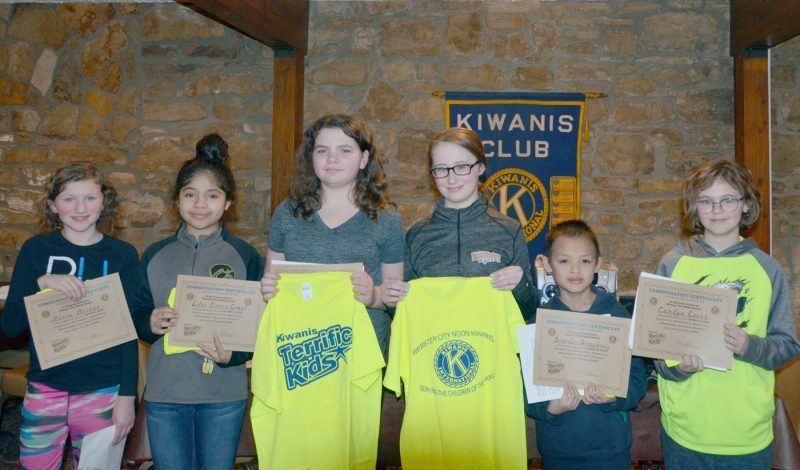 There will be an early dismissal both of those days at 2:40 p.m.
KAMRAR?- The Kamrar Lions Club will hold a pancake supper on Monday, March 14, from 5 to 7 p.m. at the Kamrar Lions Building. The menu includes all-you-can-eat pancakes, sausage and drink. Adult tickets are $5. Tickets for kids 5 to 11 are $3 and under 5 eats for free. Door prizes will be awarded. The Webster City Women’s Club will meet Monday, March 14 at 1:30 p.m. at the Jane Young House. Caitlin Larson, Hy-Vee dietician, will give the program on nutrition and diets, entitled “Live to Eat, Eat to Live.”?The meeting is open to the public and members are encouraged to bring a friend. Refreshments will be served by Loween Getter and her committee, Mary Ann Erickson and JoAnn Robb. Since the meeting is a food-oriented event, there will be a collection of nonperishable food and paper items for the Trinity Lutheran Church Food Pantry which serves anyone from the community. Monetary gifts are also welcome. For more information, call 832-5645 or 832-4248. “Pints and Politics” will be held on Friday at 6 p.m. at the Gridiron Restaurant in Webster City. The Hamilton County Democratic County Convention will be held on Saturday at 9 a.m. at the All Cultures Equal Building, 1440 E. Second St. All delegates and alternates are strongly encouraged to attend. The Hamilton County Democratic Central Committee will meet on Wednesday, March 16 at 6 p.m. at the Isis Room, Second Street Emporium, 615 Second St., Webster City. Social time and dinner will be followed by the meeting at 6:30 p.m.
P.E.O. Chapter NR will meet at 9:15 a.m. on Tuesday in the home of Mary Tjaden. Shirley Moen is Co-hostess and Nicole Chamness will give the program. Election of officers will be held. Webster City Community Theatre’s Readers Theatre will be reading, “Murder at Dry West Fork Gulch, by local playwright, Sally Evans, this Sunday at 3:30 pm at the Webster City Community Theatre, 1001 Willson Ave.
“Murder at Dry West Fork Gulch” is an old-fashioned western murder mystery complete with a typical western’s cast of characters: Sheriff Wyatt Burp, Deputy Dan, Fred, the undertaker; Miss Priscella Priss, the school marm; Cassie Needlemeyer, the general store owner; Ernie & Sal Uhn, the saloon owners; Ben & Jerry Morris, owners of the livery stable; and Mrs. Holiday, the local hotel owner. The mystery begins immediately with the discovery of the body of one of the area’s richest and most well-known ranchers, Ben Cartwrong. Undertaker Fred quickly determines it’s a murder. Everyone is a suspect, including the two newcomers – Mrs. Holiday and Miss Priss, but the investigation might go a little faster if Sheriff Burp didn’t break into song at the drop of a hat, if Mrs. Holiday didn’t spend so much time flirting with the sheriff, if Deputy Dan wasn’t so concerned about his horse Trudy, or if Cassie wasn’t so determined to keep her secret romance a secret. Stick horses round out the cast of 4 women and 6 men. Bring a snack to share and the beverage of your choice. Learn basic welding skills and welding for garden sculpture March 12-13 with instructor Doug Abbott through Legacy Learning Boone River Valley. The Women of Trinity Lutheran Church are hosting this year’s World Day of Prayer on Friday from 11:30 a.m. to 12:30 p.m. in the Fellowship Hall at Trinity. This worldwide, ecumenical event is held each year on the first Friday of March. A light lunch will be served, followed by a program. This year’s program was created by the Christian women of Cuba. A free will offering will be taken. Make reservations by calling the church office at 515-832-2220 or contact Loween Getter, chairman, at 297-0846 by Thursday noon. St. Thomas Aquinas Parish Lenten Fish Dinner will be held Friday, March 4 from 5:30 p.m. – 7 p.m. at St. Thomas Aquinas Church, 1008 Des Moines Street. Everyone is welcome. Cost is $7 for adults, $5 for children 12 and under, and families from the same household will only be charged a maximum of $20. The menu includes: baked cod, kids’ meal option (such as grilled cheese, macaroni and cheese or cheese pizza), cheesy potatoes, green beans, a variety of homemade salads and a dessert bar. The Webster City Recreation & Public Grounds Department is offering Yoga Classes in the Sampson Room at the Fuller Hall Recreation Center. There will be two Wednesday afternoon classes (4 p.m. and 5:15 p.m.). The 4 p.m. and 5:15 p.m. classes will be for all ages. The eight week session begins on March 9 and last until April 27. Classes will be $38 for residents or $44 for non-residents for the eight classes and all interested persons will need to pre-register to reserve a place in this class. Mary-Louise Burt will be the instructor. Contact Fuller Hall at 832-9193 for more information. The Webster City Border Brigade Archery Club will host the Iowa State Archery Association State Indoor Tournament on March 11-14 at the Hamilton County Fairgrounds Show Arena. Shooting line begins Friday at 7 p.m.; Saturday at 9 a.m., noon and 3 p.m. and Sunday at 9 a.m. and 1 p.m. Anyone interested in shooting is welcome to attend. There are plenty of seats available for spectators in the arena. For information, call Dan at 835-8340.